Reading English with understanding is a real art! 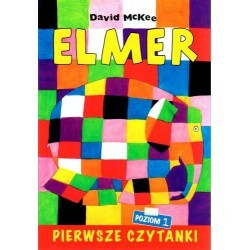 It is good to have Polish translation at hand - just like in this book. 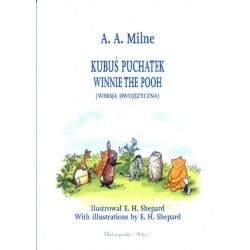 Reading facilitates a transparent, paragraph layout of the Polish and English texts. 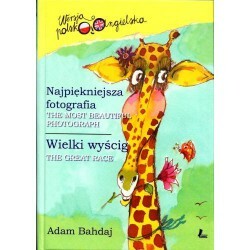 The book contains two stories by Joanna Papuzińska. 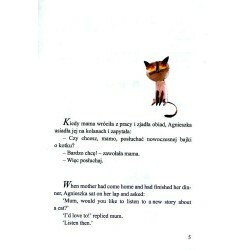 In the title story, Agnieszka tries to convince her mother to let her adopt a little cat. To appease her, she tells her story about a kitten looking for her mommy. 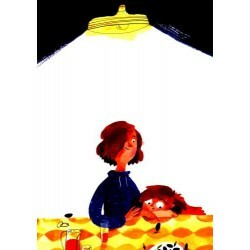 Placek Zgody i Pogody is a story in which Agnieszka bakes a cake with the help of a clever creature, Głowogonka. Thanks to him, the conflicted parents start to smile again.